Very few men really appreciate the joys of fizzy wine, chocolates that come in heart shaped boxes, and wearing pink and red things. 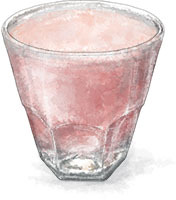 So though I am suggesting pink drinks for lovers, in my heart I know, I mostly drink these with my friends. There’s debate over whether this really qualifies as a martini, in which case, I suppose it’s just a “French”, which somehow sounds a lot dirtier. A rose by any other name. 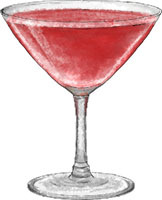 Eitherway, it’s got it all – pinkness, raspberries, and a martini glass. What’s not to love? 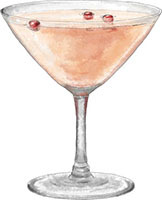 Muddle 4 of the raspberries in a shaker, then add ice and pour in the vodka, Chambord and juice. It’s a classic. Sure, it’s possibly a little overexposed, but since when did being a little over exposed become a problem on Valentines? This entry was posted in Uncategorized and tagged champagne, cocktail, cosmopolitan, French martini, kir royal, martini, Orange pomitini, pomitini, rum, valentine's, vodka. Bookmark the permalink. I would love to get together and drink all of these with you! I would love to drink them with you! !